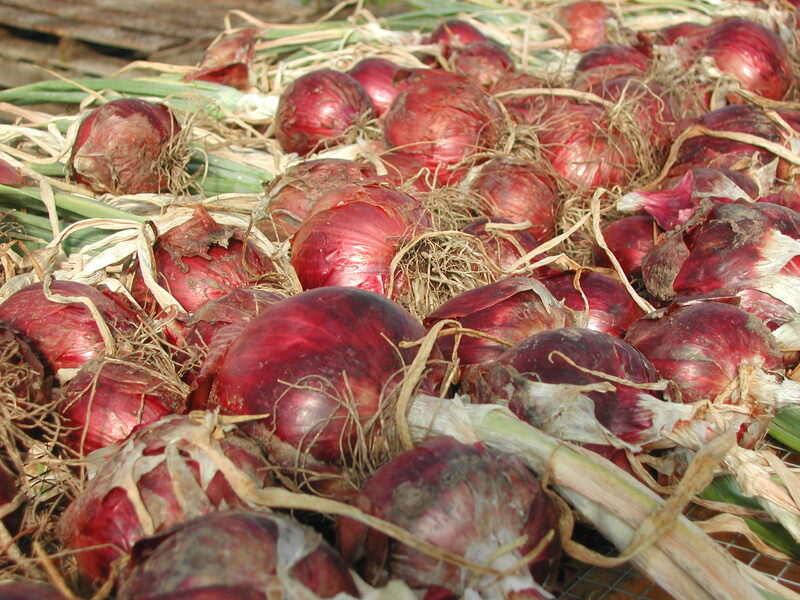 The Red Wing onions are in and drying for storage. This week it felt good to bring in a few storage crops before it really rained this fall. Can you believe it is fall already? This season is going by so fast! The first harvest of the week was onions on Tuesday. I am not sure how much we brought in, since we just laid them out on tables in a hoop house to finish drying and didn’t weigh them. It was a good crop, though, more than I have ever brought in before. With smaller plantings when we were on Sauvie Island, I usually sold them before we could store them very long. Last year, I planted the same amount, but the gophers got a lot of them before we did. This year, I wasn’t expecting much, since they were in the field that we had so much trouble with. Despite that fact, they did quite well. Now we will have onions for quite a while this fall. Maybe even to the end of the season! We also brought in the popcorn on Tuesday. Yes! 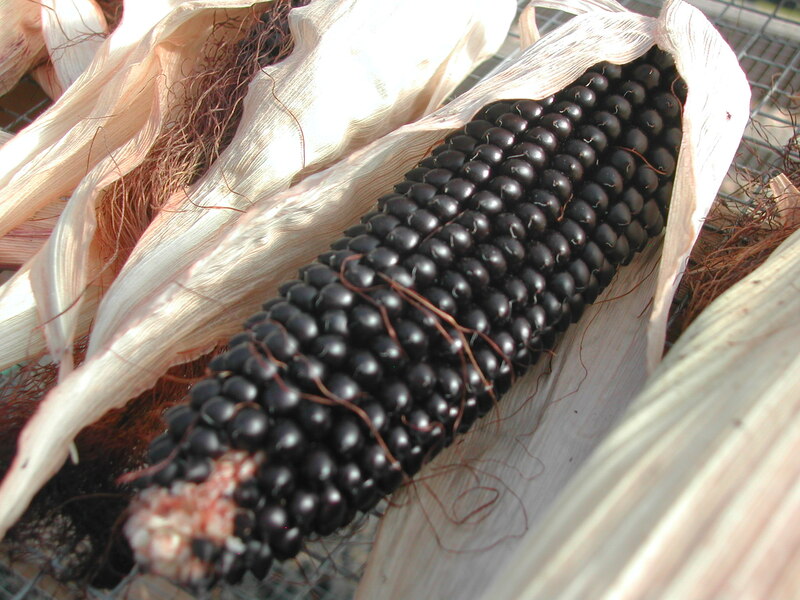 Dakota Black popcorn! I grew this corn last year, but the Red Winged Black Birds got most of it, so I didn’t sell any. This year, we harvested just as the birds were discovering it was there. It needs to dry down more and I hope it will do that as well off the plant as on. If it does, we will have some popcorn on the cob this fall! The last major harvest of the week was the Rockwell dry beans on Saturday. I planted them later than I had planned, but with just one row per bed and a very hot summer, they matured on time. 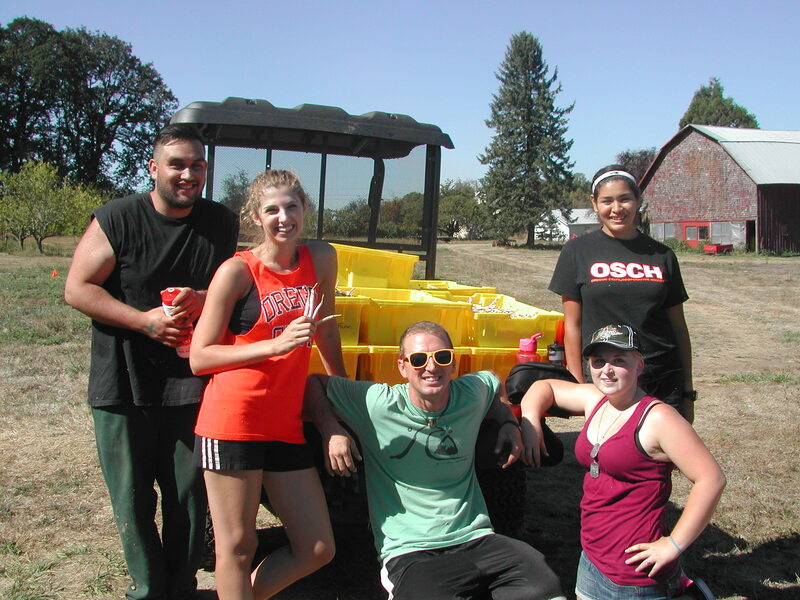 I contacted my niece at OSU and asked her a favor…could she bring a few friends over to help us harvest? Lucky for me, she is a kind, generous person, who is not afraid of work. She jumped right in on my last minute request and found four friends who could make it, along with a car to get here. With that extra help, the dry beans were picked and ready to lay out in the hoop house to finish drying in a matter of hours. What a gift to have this help! We did provide lunch, and they will get all the vegetables they would like, as long as I have them, this school year. Lucky for me again, that she is living in a house with six other roommates, two of whom are vegetarians, and she wants to eat more vegetables herself. 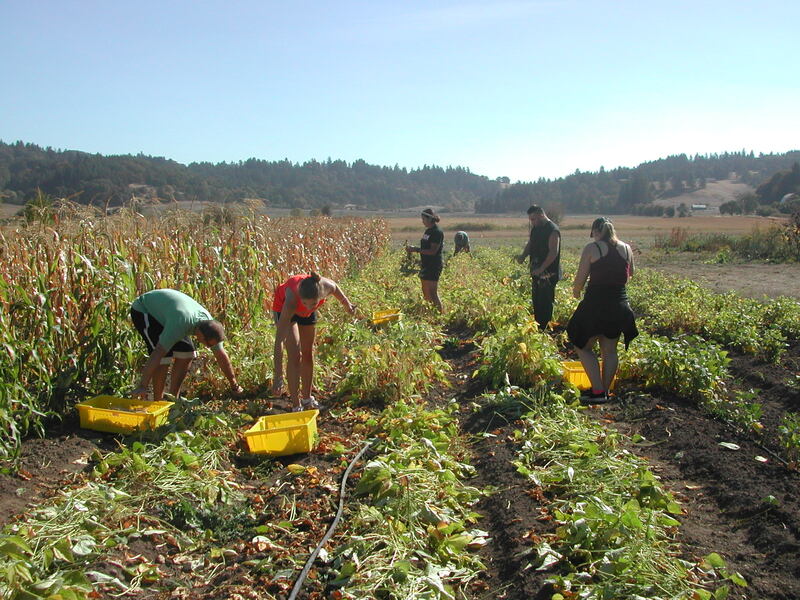 The harvest crew, hard at work.